Definition at line 122 of file GlobalsModRef.h. Definition at line 127 of file GlobalsModRef.h. Definition at line 979 of file GlobalsModRef.cpp. 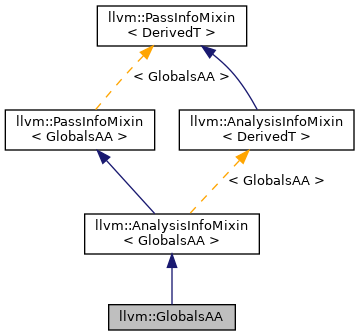 References llvm::GlobalsAAResult::analyzeModule(), llvm::AnalysisManager< IRUnitT, ExtraArgTs >::getResult(), llvm::GlobalsAAWrapperPass::ID, INITIALIZE_PASS_BEGIN(), and INITIALIZE_PASS_DEPENDENCY.